How are the new changes to Tier 2 affecting SMEs and start-ups? Populist pressure has stipulated that the Government arbitrarily reduce net migration. In this spirit, the Migration Advisory Committee (MAC) conducted a review of Tier 2 of the Points Based System. The fundamental aim of the task was to provide recommendations to the government on ways to lower net migration. Please note these measures affect residents of non-EEA countries only. EEA nationals (including nationals of Switzerland) are currently still entitled to European free movement, subject to the result of the upcoming 23rd June European referendum*. The MAC recommendations (most of which are being implemented in stages from April 2016 to 2017) exponentially raise the costs of recruiting non-EEA workers and severely impact the ability of employers who operate in industries with skills shortages (eg nursing, teaching and engineering) to sufficiently staff their businesses. Such changes adversely affect UK SMEs and Start-ups as well. The two most far reaching MAC proposals that the Government has chosen to implement are: a) an increase of the gross minimum salary threshold requirements for Tier 2 – to £41,500 for Tier 2 (Intra-Company Transfer) and to £30,000 for Tier 2 (General); and b) the introduction of a new levy called ‘the Immigration Skills Charge’, of £1,000 per year, per migrant worker. The fundamental tenant behind the new Immigration Skills Charge is the monies accrued by the Revenue from this levy will be invested into programmes to train and up-skill the domestic workforce. How this plan is to be implemented by the Government, as advised by the Migration Advisory Committee has thus far, yet to be explained. These increases come on top of already prohibitive costs of sponsoring Tier 2 workers (also increased in April 2016). Whilst these increases will affect all businesses operating in the UK and will even make most multi-national corporations re-evaluate their foreign migrant workforce in an effort to reduce their working costs and overheads regarding staff salaries; the changes will have the most significant and prohibitive impact on Small and Medium Enterprises (SMEs) and UK Start-Ups, who (* Please note that on 23rd June the UK will vote on whether or not to remain in the European Union and the result may affect continued reliance on EEA free movement provisions.) may simply not have the resources to fund and administer the recruitment of overseas skilled workers. A recent client, a tech start up approached this firm to apply for a sponsor licence with a view to recruiting specialist IT engineers (a shortage occupation role) to work in the UK. To illustrate costs associated with such applications we provided illustration for recruiting one IT engineer (reasonably assuming such an individual might have a spouse and children). The Home Office fees alone to sponsor one worker and to apply to bring a spouse and two children to the UK would reach nearly £6,000, once the skills levy is implemented. Our client simply could not afford to proceed. With the Government’s removal of the Tier 1 (Post-Study Work) visa system in 2012, it is now even harder to recruit international graduates from British universities. SMEs and Start-Ups are now forced to either navigate the complex system of acquiring a Sponsor’s License before they can even begin considering recruit of skilled international graduates or structure business plans which potentially exclude them from recruiting the best and brightest new staff (in instances where there are more roles on offer in the UK than UK graduates). SMEs and Start-Ups are likely not to have the resources nor the experience and fortitude to battle through the ever complicated labyrinth of bureaucracy to hire the appropriately qualified candidates (regardless of nationality and immigration status) for the jobs available. One of the current Government’s manifestos is to stimulate the economic growth and encourage the best and the brightest minds to the UK. These changes however, create a real risk of achieving the opposite. The Government is effectively shutting the door to a great many of these skilled workers and the businesses wishing to recruit them and is pricing the UK out of retaining its status as a competitive global market economy. The proposals set out in the MAC report (such as increase is fees and salary thresholds and the Immigration Skills Charge) and the already implemented Immigration Health Surcharge will not provide the promised revenue needed to up-skill the resident work force and prop up the NHS but will no doubt serve the intended function: to be a disincentive to employing foreign workers over the resident labour market. William is a Senior Immigration Executive in the Immigration Department principally undertaking work in general immigration, corporate immigration and the UK Points Based System. William has particular experience working with High Net Worth Individuals and Politically Exposed Persons as well as Corporate Immigration working with some of the world’s largest multi-national corporations. 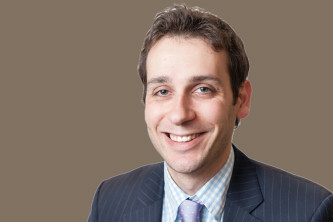 William began his experience at Fragomen LLP in 2012 specialising in in-bound corporate immigration, before moving to Gherson Solicitor’s specialising in both general and corporate immigration before moving into the complex litigation team, assisting on, primarily, appeals and judicial reviews. Meghan joined Healys in November 2015 and is a solicitor in the Immigration department. 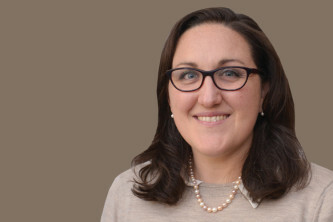 Meghan specialises in all aspects of UK economic/business immigration and nationality law as well as complex European free movement applications. She trained with the niche City firm Laura Devine Solicitors and has been working in corporate immigration for over 8 years. After qualifying she moved to Mishcon de Reya where she gained particular experience working with HNWIs. From 2011 Meghan worked with Karen Sturtivant in the West End where she was Senior Associate and responsible for a full range of immigration services for corporate and private clients alike. She joined Healys in 2015.